To ensure your new franchise business makes a profit you need to develop a comprehensive sales strategy that fits the products your business sells. The management of your sales channels is a part of your overall marketing plans, but a sales strategy has a number of unique components that your business has to develop in order to reach its customer base. What is your customers’ purchasing behaviour. When do they like to shop? What kinds of payment methods do they prefer? Remember that as you are collecting information about your customers, your business must comply with the data protection regulations that now exist. You can get more information about this legislation from the Information Commissioner’s Office. The 80/20 rule in business states that 80 per cent of the income that comes into your business is from 20 per cent of your customers. This group of key customers should be the focus of your sales strategy. You can easily identify these customers from the sales records your business keeps. Your sales strategy should support these important customers and also attempt to expand their buying into other areas of your business. Once you have identified your most profitable customers, create special events that only these special customers can participate in. Offer them exclusive special offers. This kind of promotion can be highly effective at securing these important customers over the long term. Remember it can cost twice as much money to locate a new customer than to sell to an existing one. As the oldest form of marketing, press ads are still effective if you place your ads in strategic publications. Your customer research will tell you which publications your customers read. The national and local newspaper groups can be effective, but consumer and trade magazines offer a better potential return on your advertising spend. No sales strategy is complete without some form of digital marketing. E-commerce is now the fastest growing marketing channel we have. Your business must have a website, but think through how you will use this online presence to improve your sales. Also, viral advertising via email can be highly effective if you have a sales message that fits this kind of promotion, and your business sells to customers that will react positively to this type of sales strategy. Often forgotten in today’s digitally enhanced world, direct mail campaigns have consistently proven themselves to be high effective. 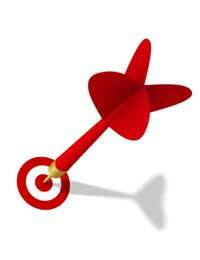 The key with this type of sales channel is to segment your customer base and have a highly targeted sales message. If the management of your direct mail campaign is beyond your skills, hire a consultant or a direct marketing company who can help you mount your campaigns. Using radio and television within your sales strategy is not as expensive as it once was. Local radio is now a cost effective sales and promotional channel that all new business can use. Television again can be effective with many package deals available from your local station. And don’t forget cable and satellite broadcasting. You may find that there is a specialist cable or satellite channel that is a perfect fit with your business. Developing your sales strategy means not only intimately understanding your services or products, but also understanding the audience you are targeting with each sales message. You are likely to have to create many a sales strategies depending on the products or services your franchise business will be selling. And don’t forget to review your sales strategy regularly as your market may have changed, and therefore, the customers within it demand a different sales message to attract them to your business.